Mozilla employees across the web are calling for the removal of new CEO Brendan Eich, who previously held the position of CTO and has been with the company since its formation out of Netscape in the 90’s. In 2008, Eich donated $1,000 to support Prop 8, which was a California ballot proposition that aimed to ban gay marriage in California. In 2012, the public listing for the donation was uncovered, with Mozilla appearing right next to Eich’s name. Eich remained at the company, continuing on as CTO, after the brief scandal. With this week’s appointment to CEO, Eich has come under fire from employees in his own organization and from members of the LGBT tech community. I love @mozilla but I'm disappointed this week. @mozilla stands for openness and empowerment, but is acting in the opposite way. To me, @Mozilla is about openness & expression of freedom. I hope to see us have leadership that represents those values in their actions. Other employees have jotted down their issues in blog form. Mozilla’s head of Education Christie Koehler didn’t weigh in on Eich’s suitability as a CEO, but did express her disappointment with his private endorsement of anti-LGBT legislation. Like a lot of people, I was disappointed when I found out that Brendan had donated to the anti-marriage equality Prop. 8 campaign in California. It’s hard for me to think of a scenario where someone could donate to that campaign without feeling that queer folks are less deserving of basic rights. It frustrates me when people use their economic power to further enshrine and institutionalize discrimination. Still, she praises the company’s progress in regards to healthcare benefits and guidelines for participation, and she doesn’t see Eich standing in the way of that. And it wasn’t just employees who spoke up about Eich’s new CEO role. Rarebit, an app developer that was quite active in the Firefox marketplace, announced that it would no longer support the platform with Eich at the helm. Founders, and married gay couple, Hampton Catlin and Michael Lintorn Catlin published a post on their blog describing the painstaking process of trying to start a company with his partner, who was in the midst of the immigration process and tied to his job on a visa. Today, Michael has a green card and we’re able to pursue this venture in the US. These days, I am so damn proud of my country for making this all possible. It’s really stunning the support we’ve received, and thank you to everyone out there who have either changed their own minds on the subject, or convinced a relative or friend that there is nothing wrong with the government recognizing our relationship. Thank you. 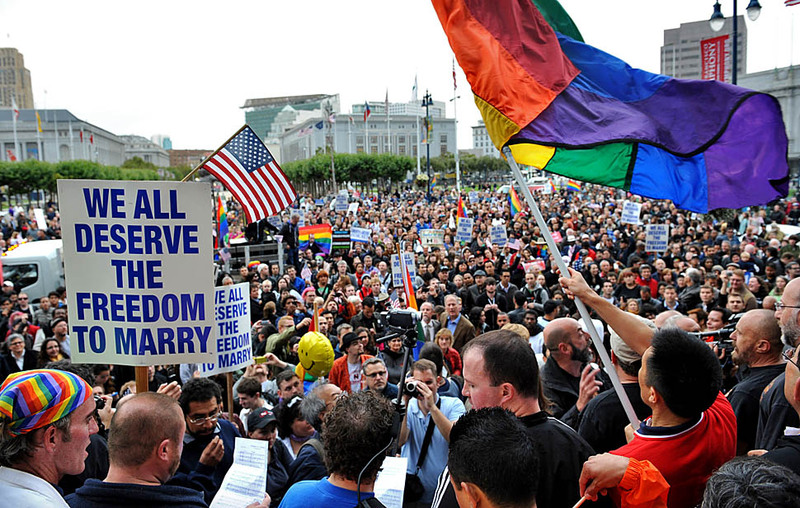 The overturning of Prop 8, literally was the foundation that allowed us to start this venture. That’s why it’s personal for us. Brendan Eich was an active supporter of denying our right to be married and even to start this business. He actively took steps to ensure that rarebit couldn’t exist! Many advocates of Eich, like Mozillian Daniel Glazeman, stand in support of Eich not based on his personal beliefs, but based on the fact that Mozilla has always promoted an environment where everyone is entitled to their own way of thinking. Others, however, believe that Eich’s appointment to CEO may play a very different role in future decisions for the company that may affect the LGBT community, such as partner health benefits in states where gay marriages aren’t recognized. A CEO is publicly seen as one of the most visible faces of an organization, and is quite a bit about image, partnerships, and culture, rather than the largely technical role of a CTO. Unfortunately, right now Brendan’s public image (which is also now in part Mozilla’s public image in his new role) is one showing that he donated money to deny equal rights to the LGBT community during Prop 8 in California. Note: I fully support Brendan’s right to hold these views and support them financially as he sees fit, even while I vigorously disagree with his views on this issue. Eich penned his own response to the issue, with the hopes of putting some of these concerns to rest. In the post, he promised to uphold the same equality that has always been present at Mozilla, from employment to healthcare benefits. He also explained that he knows words are not enough, and that actions will seal whatever trust exists between him and his employees. John Lilly, former CEO at Mozilla and board member, announced his resignation from the company’s board of directors with a brief statement. As it stands now, it doesn’t seem like Eich is going anywhere. Current chairwoman Mitchell Baker posted a lengthy reaction of her own, promising to maintain the level of diversity and equality currently in the workplace, and hopefully grow it. But she also expressed that Eich would be a part of that. My experience is that Brendan is as committed to opportunity and diversity inside Mozilla as anyone, and more so than many. This commitment to opportunity for all within Mozilla has been a key foundation of our work for many years. I see it in action regularly. The CEO role is obviously a key role, with a large amount of authority. The CEO must have a commitment to the inclusive nature of Mozilla. This includes of course a commitment to the Community Participation Guidelines, inclusive HR practices and the spirit that underlies them. Brendan has made this commitment. Mozilla’s mission is “to promote openness, innovation & opportunity on the Web.” In the world of tech, we influence legislation on a number of issues reaching well outside the scope of technology. After all, technology sets the boundaries for what is achievable in this world. Openness and innovation, Mozilla’s cornerstones, are dependent on diversity. Hopefully, whether Eich remains at the helm or not, Mozilla employees don’t lose sight of that.